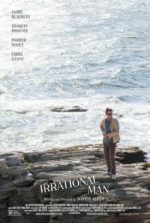 Woody Allen’s 38th feature film, Cassandra’s Dream, proves his talent holds promise beyond comedy, the genre for which he’s best known. Allen’s third murder-oriented morality tale, preceded by his masterful Crimes and Misdemeanors in 1989 and the ingenious Match Point in 2005, ponders concepts of luck, opportunity, and conscience. 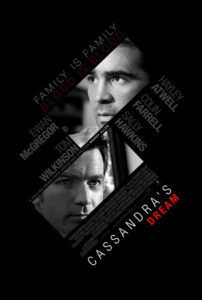 Split down the middle are two brothers, played by Ewan McGregor and Colin Farrell; one can accept the choices he’s made to better their lives, the other cannot. While Match Point is riddled with suspense, despite entering Fatal Attraction territory with Scarlett Johansson as the jealous girlfriend to be ousted, its dreary conclusion suggests luck will allow men to get away with their infidelities. This is certainly less assuring than Crimes and Misdemeanors, which suggests the individual creates his or her own morals—“God is a luxury I can’t afford,” says Judah Rosenthal (Martin Landau), when contemplating murder. Characters that are honest with themselves about what they’ve done are interesting. Characters that cannot live with what they’ve done are interesting in a completely different way. Fortunately for us, South Londoner brothers Ian and Terry (McGregor and Farrell respectively) must ruminate over their potential crime before committing it, and afterward, fail to escape their own demons. Though, it’s not just guilt over the crime itself, but guilt over not feeling remorse over the crime. After long-desiring a sailing boat, they find a nice used fixer-upper for £6,000; they name it the “Cassandra’s Dream” after the racing dog that won Terry the money. Things seem to be going well for them. If one literal ship comes in, who’s to say their proverbial ship won’t follow? Except, Terry has gambling debts and a house to buy to start a family, and Ian has an upcoming “business venture” that will finally render him independent from the family restaurant he manages, if he can come up with the initial investment—not to mention his continued support of an expensive, soon-to-be-Hollywood-movie-star girlfriend, Angela (Hayley Atwell). They approach their ultra-rich uncle, Howard (Tom Wilkinson), and ask him for money. Howard makes his own proposal—a favor for a favor. Of course, ka-crack, thunder rolls and rain begins to pour. Never a good sign. Uncle Howard explains his career, even his life, are in jeopardy, as one of his employees is threatening to testify against him. Details aren’t important, so Ian and Terry aren’t told them. It’s simple: Howard needs Mr. Whistleblower to disappear. Whether or not they go through with it depends on how heavily money stacks up against morals. Can anyone know how murder will affect their conscience? Their decision follows the realization that without Howard’s money, they’re just a couple of losers—a rather harsh insight, one surely to incite desperate measures to rectify. And so they go through with it (with a rather clever yet simplistic execution I might add). But as the saying goes, murder is the easy part; living with it, that’s where the trouble comes in. 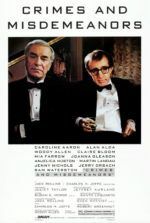 Woody Allen has been making movies since the 1960s, achieving some of the most pivotal comedies ever made (Annie Hall, Sleeper, and Zelig, to name a few), and a number of interesting odes to art cinema icons like Ingmar Bergman and Federico Fellini (see Interiors or Stardust Memories). Rarely when working outside of comedy has he felt so… Woody Allen, as he does with Cassandra’s Dream. 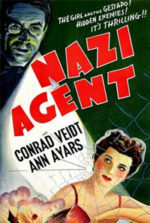 Allen could have assumed the stylistic traits of another director for his film’s noirish intent; instead, the direction remains simple, with his trademark emphasis on dialogue versus flashy camerawork. Indeed, I was more involved in this film than any of Allen’s recent work in the last decade, thanks to its stars. Watching Colin Farrell display such agonizing sensitivity onscreen makes me wish he’d involve himself in more roles requiring him to put forth something. Here, Terry bears addictions (to gambling, alcohol, codeine, etc.) and moral commotion sloshing around in his head. Farrell wows with staggeringly effective vulnerability. Just as impressive is Ewan McGregor, who manages reluctance at first, then a wide-eyed vacancy to his expression; clearly, Ian has made a choice, but there’s no saying how devoted to that choice he really is, regardless of appearances. Dancing us through all this, composer Philip Glass adds an ever-present tempo with his music, at once thrilling and delicate. I was reminded of his score in Notes on a Scandal—the unrelenting pulse that seemed to drive that movie along with the pace of a racehorse. Glass’ elegant musical presence breathes the life of grandiose theatricality into every frame. Surely, Allen’s references to Greek tragedy reflect the world of his film, as themes of family and murder and love bear a certain classicism about them. Allen tells a common story about morals and choices, familiar to be sure, but not a bit depreciated because of it. Ending like a 1940s noir picture, Allen closes the film quickly, some might call it abruptly, with the ethics, happenstance, and unfairness of it all striking us down. And while we might adopt the noir scheme and say those deserving got what was coming to them by way of fate, we cannot ignore how Allen allows someone to get away with it. Closing on a cynical note, Cassandra’s Dream fits with Allen’s own pessimistic outlook.